Hi everyone! 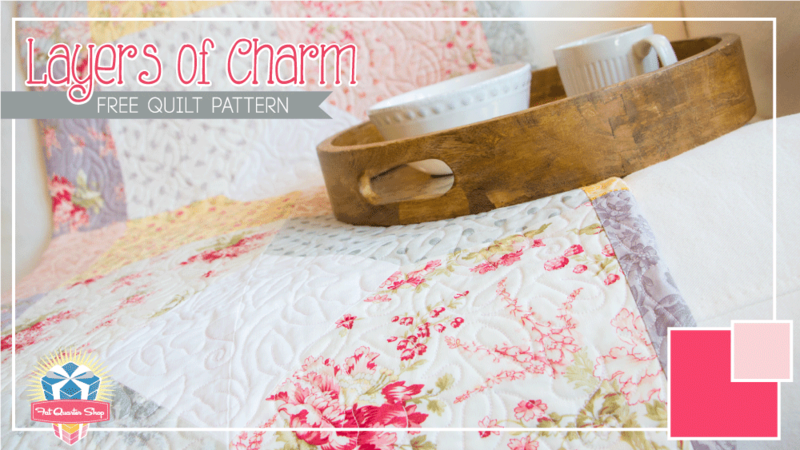 We're excited to show our newest Shortcut Quilt of 2015, Layers of Charm! This pattern is a great way to use up those layer cakes and charm packs that you have laying around in your sewing room, and it's very quick and easy with no pre-cutting! 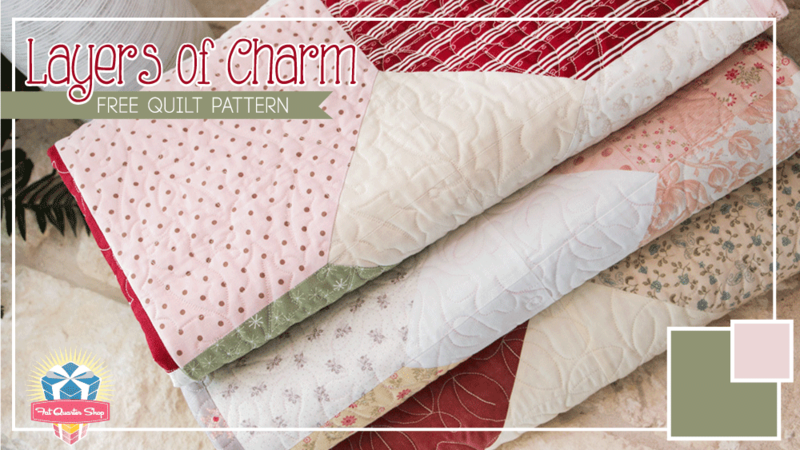 Kimberly created her Layers of Charm quilt with the Mistletoe Lane Layer Cake by Bunny Hill Designs for Moda Fabrics and Natural Bella Solid charm pack. 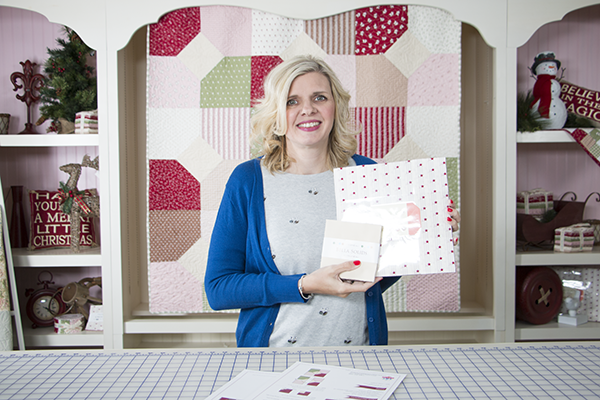 If you're ready to get started, download the Layers of Charm pattern, pick up your favorite charm pack and layer cake, and watch Kimberly's tutorial on how to piece the quilt! 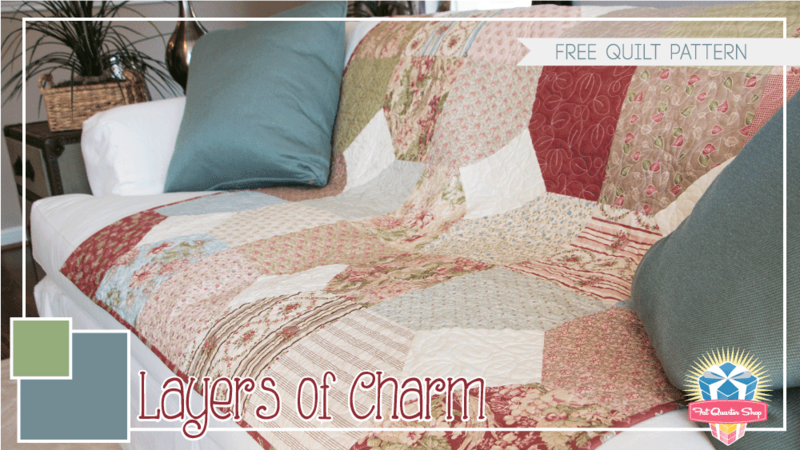 For for Layers of Charm fun, be sure to check out all of the projects our bloggy friends made! We guarantee that you will love them as much as we do! Thank you so much for joining us! 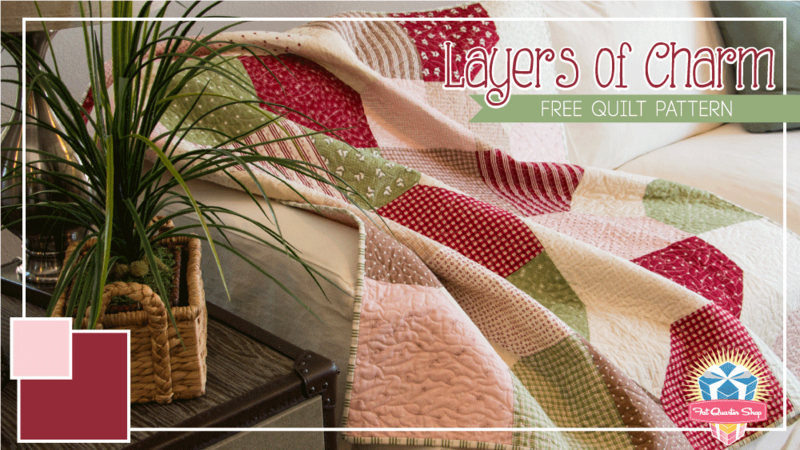 Share your Layers of Charm creations on Facebook, Twitter, and Instagram with #fqsfun and #layersofcharm !